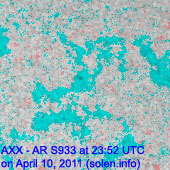 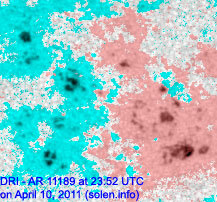 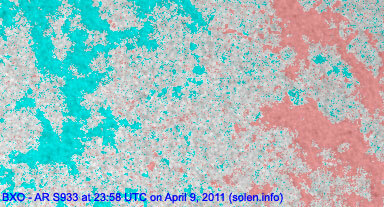 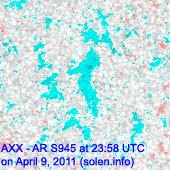 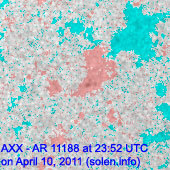 Last major update issued on April 11, 2011 at 04:05 UTC. 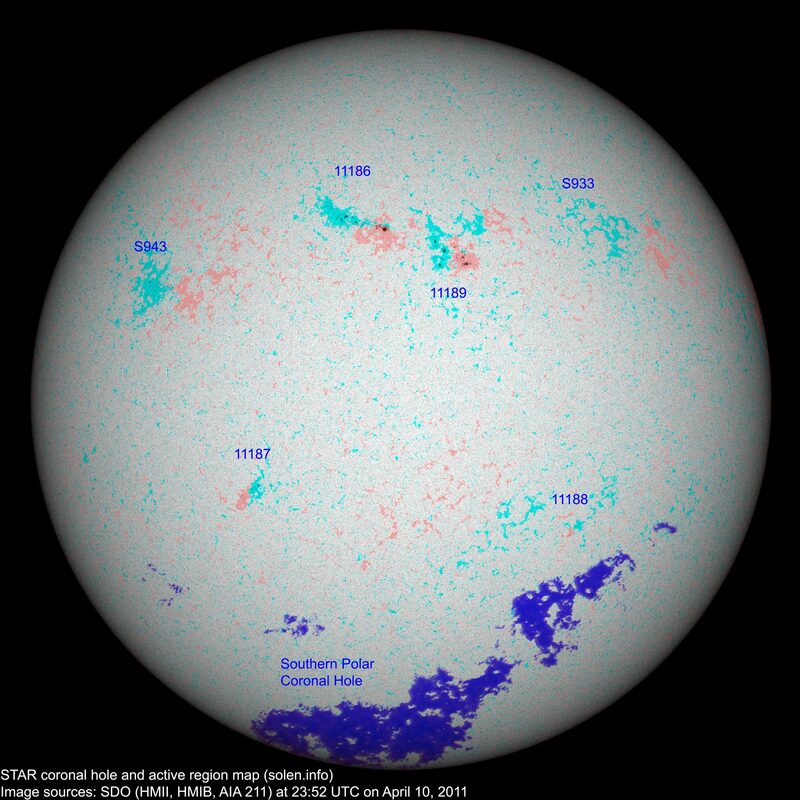 The geomagnetic field was quiet to unsettled on April 10. 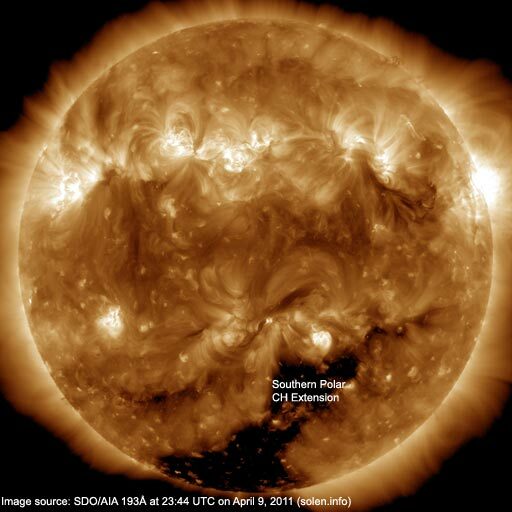 Solar wind speed ranged between 357 and 386 km/s. 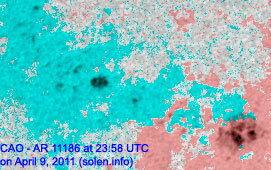 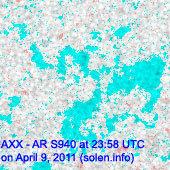 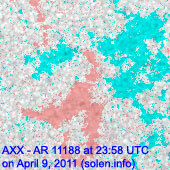 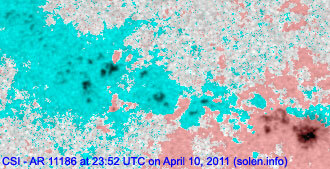 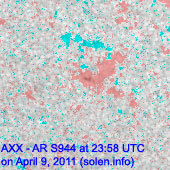 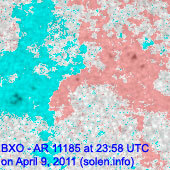 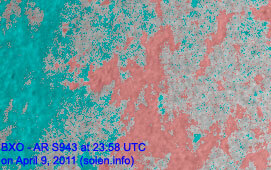 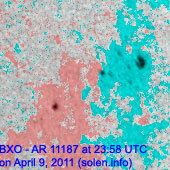 Solar flux estimated at 20h UTC on 2.8 GHz was 104.8 (decreasing 2.6 over the last solar rotation). 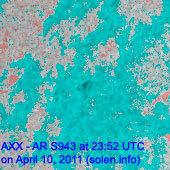 The planetary A index was 5 (STAR Ap - based on the mean of three hour interval ap indices: 5.3). 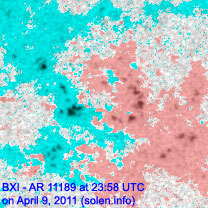 Three hour interval K indices: 20001322 (planetary), 20011111 (Boulder). 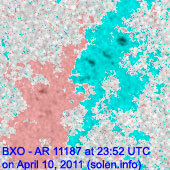 Region 11188 was quiet and stable.